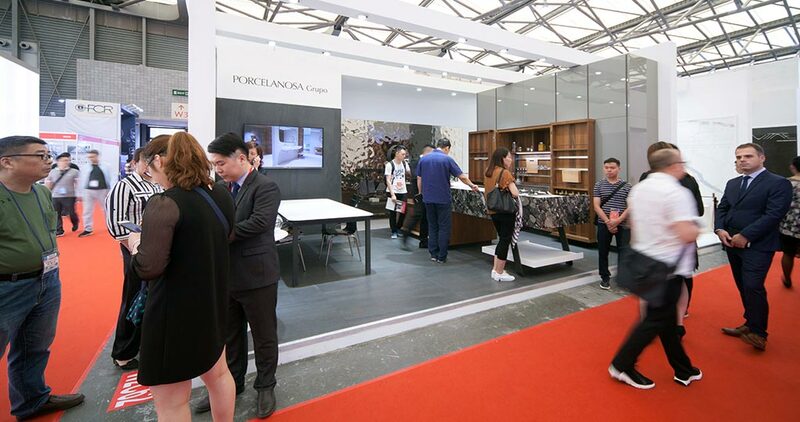 From May 31st to June 3rd, the PORCELANOSA Grupo was present in Shanghai, where it played a major role as the exhibitor at Kitchen & Bath China 2017. 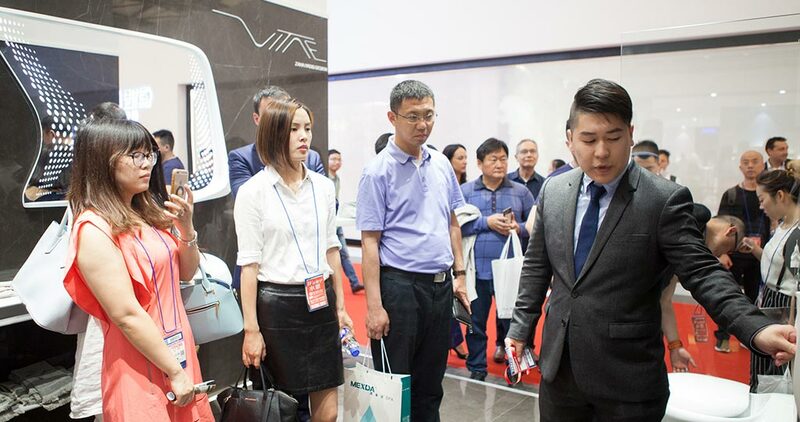 This famous event, which enjoyed its 22nd edition, turned out to be an excellent opportunity for the firms from the Grupo to showcase their latest designs in kitchens and bathrooms, as well as inspiring professionals through their important future designs. 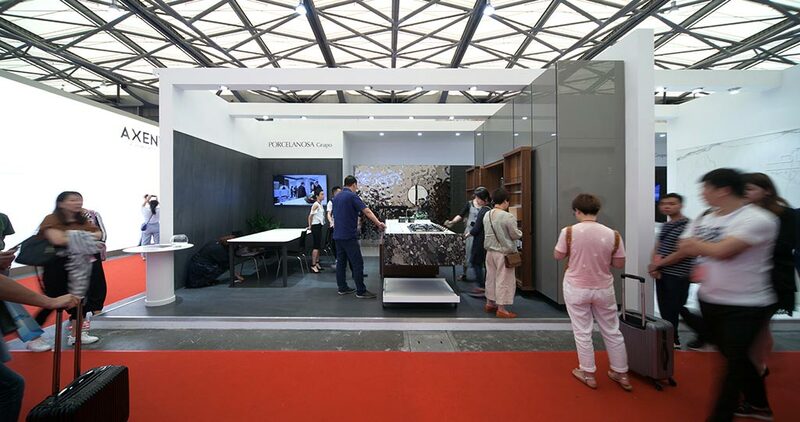 The stand for the PORCELANOSA Grupo at KBC 2017 was a real success regarding the attendance, because of the flow of Chinese architects and interior designers, as well as other professionals in the sector who came from different parts of the world. 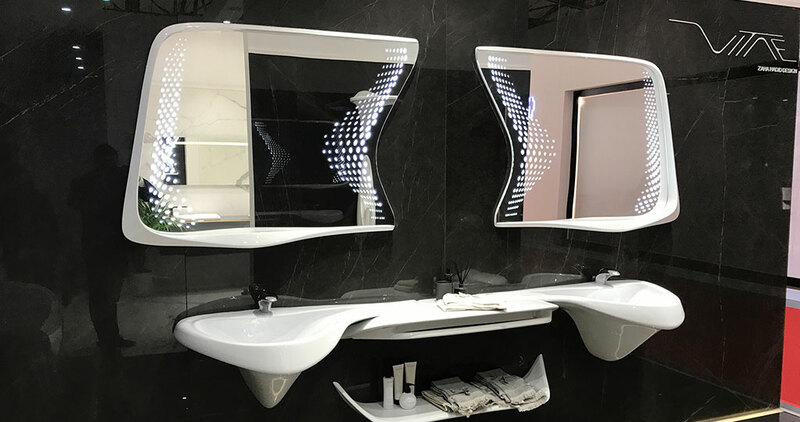 It was in the space from the PORCELANOSA Grupo, which consisted of an area of square feet, where visitors could enjoy having a look at a wide range of designs, and also the new developments recently launched, full of quality and high technology. 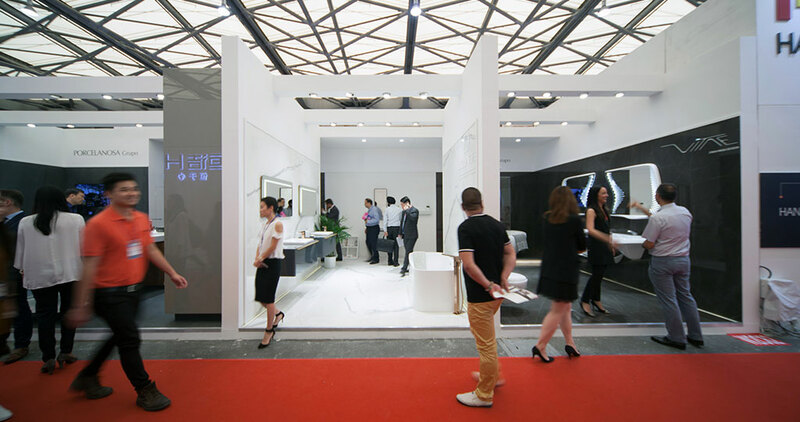 Done by the bathroom equipment firm, Noken, PORCELANOSA Grupo officially presented its Vitae bathroom series in the framework of Kitchen & Bath China. Zaha Hadid’s design had a privileged place in the stand, where it impressed the public enormously. Ranging from basins to dynamic taps, then onto the technological bathtub, as well as the sanitaryware and mirrors based on nature and organic shapes. 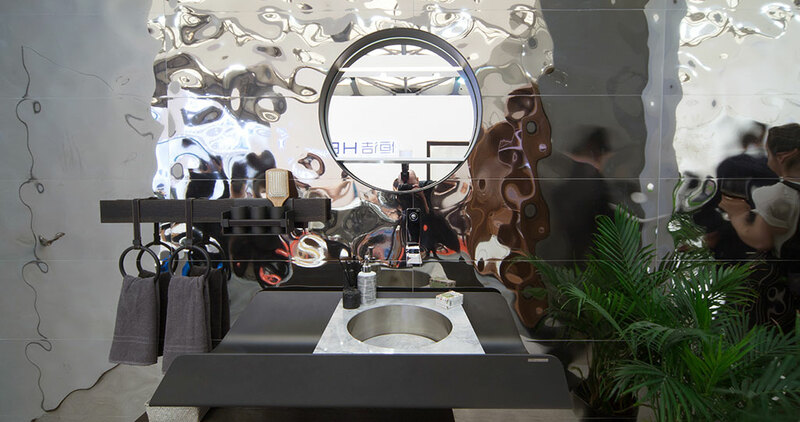 The Anglo-Iranian architect’s legacy proposes the bathroom of the future, and so, the unveiling took place before Chinese professionals. 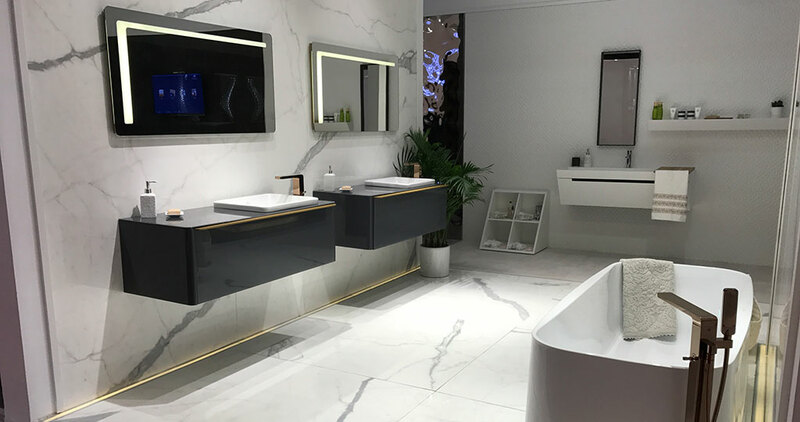 As well as Viate, Noken took advantage of its presence at the Fair to present one of its other cutting-edge bathroom collections. Lounge, in this regard, was one of the most outstanding series, highlighted by items such as the Lounge Square freestanding bathtub or the Lounge Antracita bathroom furniture, complemented with the Forma retto basin. 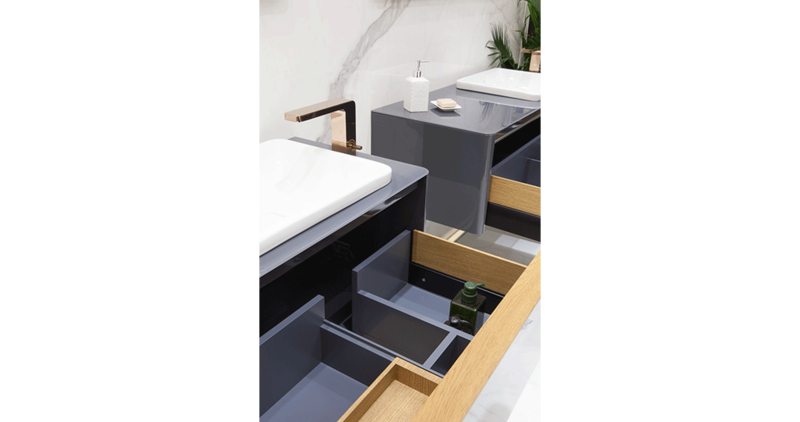 Paying a special tribute to the exclusive Premium Collection range, and in line with the latest trends in bathroom design, Noken also offered its Lounge cobre taps and their Forma accessories in China. 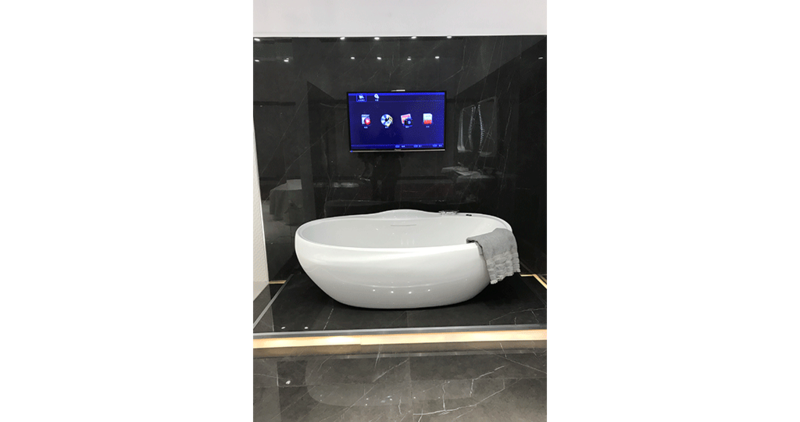 The kitchens and bathrooms by the firm, Gamadecor, also played a major role in the latest edition of Kitchen & Bath China 2017. 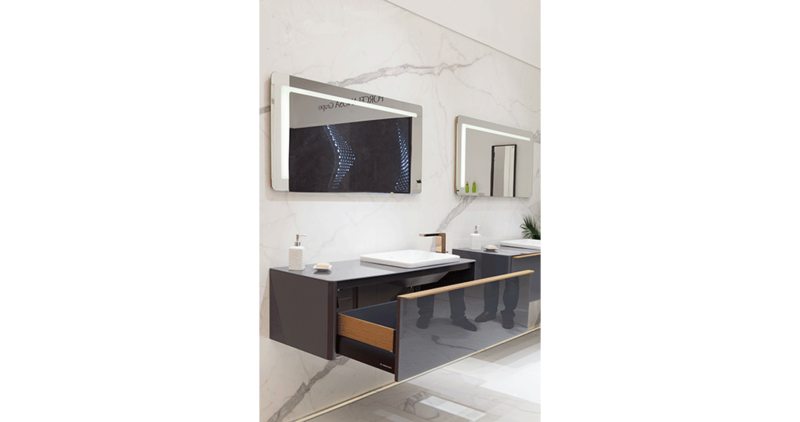 On the basis of utmost quality and innovation, Gamadecor presented such unique modern series as Duna and Bevel, both of them being bathroom furniture. 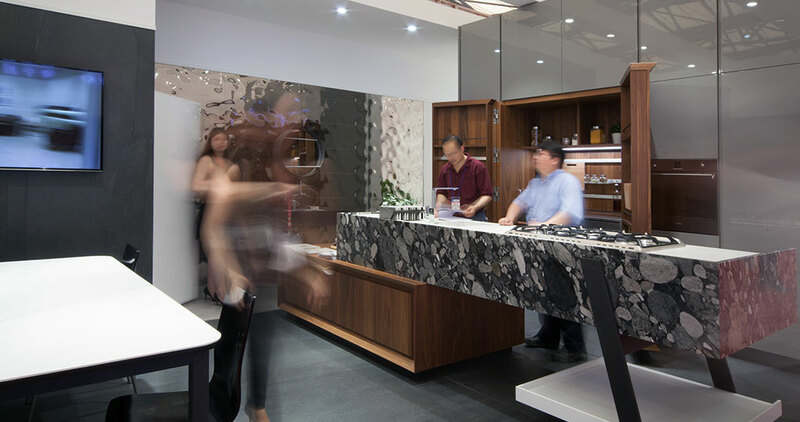 Whereas Bevel captivated everyone through its compact character and minimal style manufactured with the KRION® Solid Surface mineral compact; Duna suggested the original blending of aluminium and granite, apart from its oak veneer auxiliary furniture. 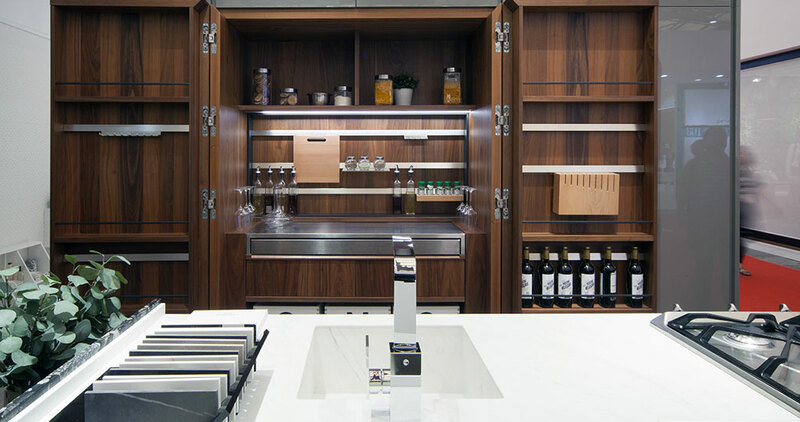 Regarding the kitchen equipment, Gamadecor had on show the innovative Trotter kitchen from the Emotions® range E6.90 roble torrefacto E4.90 pergamon mate. 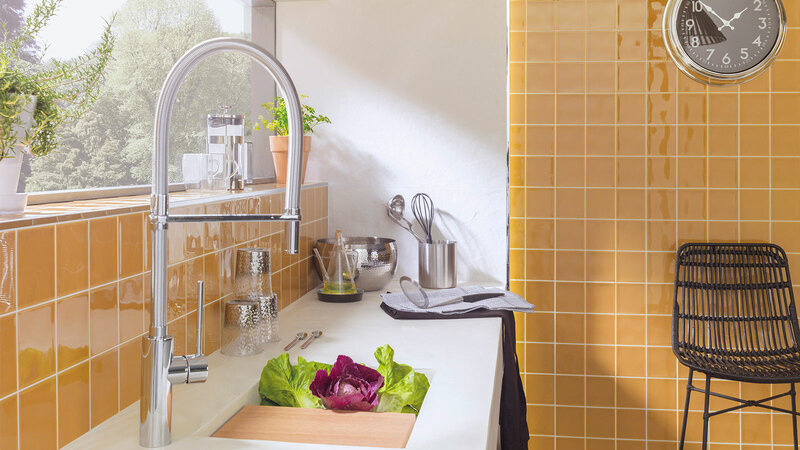 It is an experimental, functional and efficient kitchen, which has been conceived and designed to please and fulfil everyday needs. Its simplicity of shapes, together with the carefully studied architecture of its support legs in steel, displaying a suspended and open kitchen, a kitchen which provides a feeling of lightness, cleanliness and sturdiness. 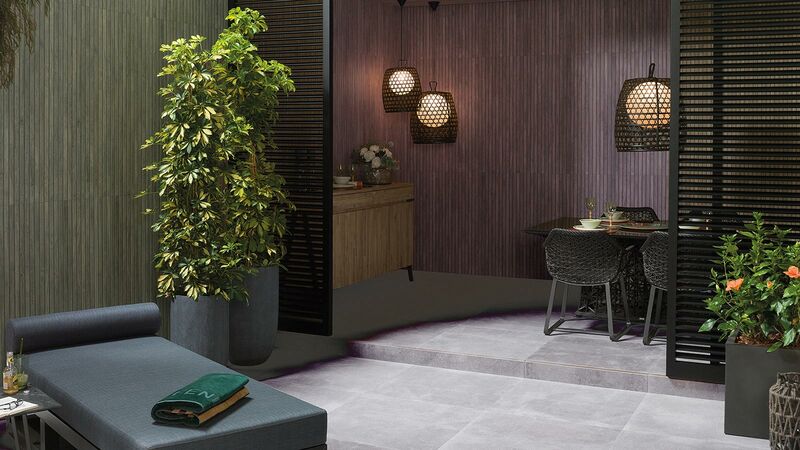 Given the excellent impact and acceptance recorded in the Asian market, the Premium XLight porcelain tile by Urbatek was presented in China as the ideal complement to cover luxury and magnificent spaces. The visitors attending Kitchen & Bath China 2017, and specifically in the PORCELANOSA Grupo stand, could see the aesthetical possibilities of this Premium design, a marble-effect extra slim porcelain tile which conveys classicism and naturalness. 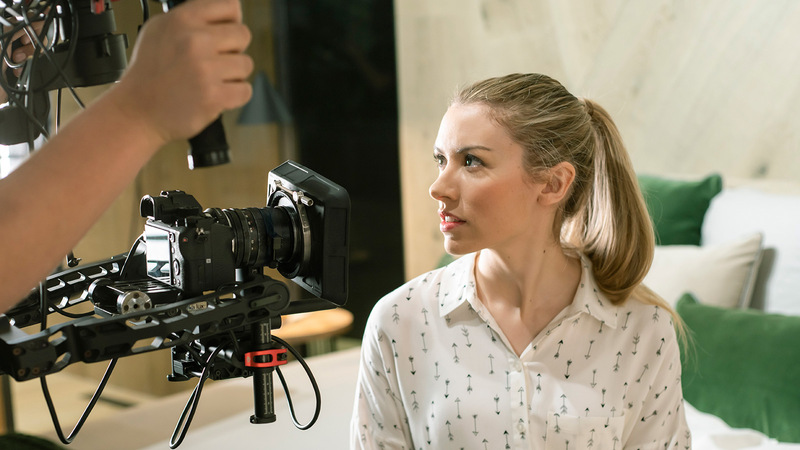 The Premium XLight by Urbatek was the design to go together with the Vitae space by Zaha Hadid, specifically through the Premium Xlight Savage Dark. Additionally, this light, extra slim and large-format material was also an elegant complement to the Lounge series by Noken, to be more specific, through the Carrara marble-effect Kala White design.